Amber is a business strategist with a strong focus on social, communication and community initiatives. Her expertise spans professional fundraising, corporate communications, marketing, professional services, and social business strategy. She’s successfully run multimillion dollar fundraising campaigns, built and led executive communication teams, and helped launch international brands. As the VP of Social Strategy for Salesforce Radian6, she advised Fortune 500 companies on social business strategy, and built a renowned community and social media team that contributed to a successful acquisition in May of 2011. Amber is also the co-author of the best-selling social business book, The NOW Revolution, and her blog has been recognized several times for excellence in social media and community related content. She speaks professionally about social business and strategy at dozens of industry conferences and private events every year. SideraWorks is a social business consultancy. We help companies adapt their culture and operations to the impact of the fast-moving social web and thrive as social businesses. SideraWorks brings the expertise and guidance to help you educate your teams and build a plan. Then we help empower you to make the shift while making you the experts that will build your long-term social business. Every customer is a potential reporter, and every employee is a potential spokesperson. Business has changed more in the past 3 years than in the prior 30. But it’s not a threat, it’s an opportunity. The NOW Revolution isn't about how to "do" social media. Instead, it outlines how you can retool your organization to capitalize on real-time business. Learn the 7 shifts that make your company faster, smarter, and more social, each explained with case studies, useful tips & actionable advice. 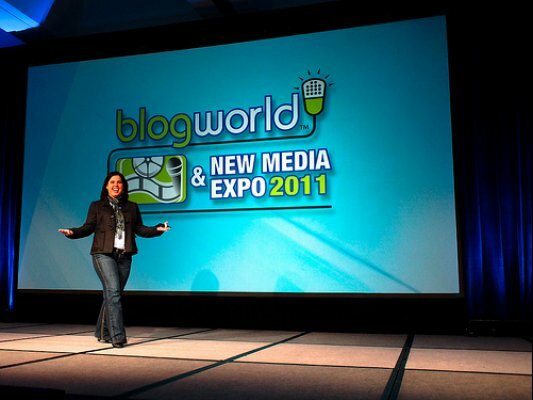 “Amber delivered an absolutely wonderful keynote presentation at BlogWorld! Through her brilliant insights, humor and creativity in storytelling, listeners are energized by her words and find themselves inspired for a new path in their own business adventures. I've had the opportunity to watch Amber Naslund keynote several events, and her talks are inspirational, funny, witty, and insightful. She speaks with passion and excitement on her areas of expertise such as social business and organizational change, energizing the audience and making people laugh and think. I'd definitely recommend her to any event or company that's thinking about bringing her in as a speaker. Amber is my favorite combination of speaker: Equal parts smarts, empathy, and passion. Plus, she’s funny, so she keeps an audience engaged. It seems like those qualities would be easy to find in a public speaker, right? But they’re less common than you’d expect. Amber is one of those rare souls who possesses them all. I've seen Amber speak multiple times and have always been riveted by her poise, clarity of thought, and passion for social business. She cuts through the confusion of buzzwords and corporate speak and shows a deep understanding of her specific line of work and the larger business landscape. She is a no-nonsense speaker with a gift for captivating audiences. It is a joy listening to and watching Amber, and I've consistently walked away from her talks with both grounded, tangible take-aways and a renewed sense of curiosity for my own work in social and community. 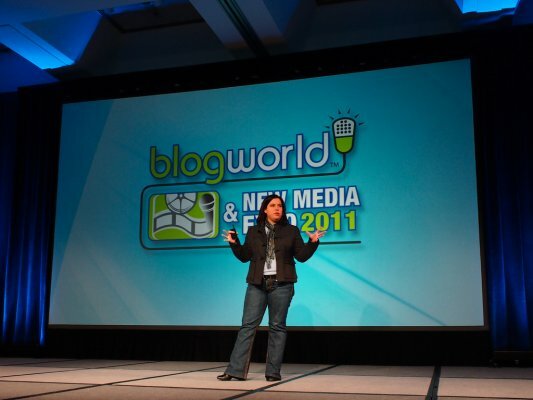 I've had the opportunity to enjoy a few of Amber's conference sessions, including a keynote address at a large event. Aside from being a skilled and engaging presenter, she offers a thoughtful, practical perspective on today's business challenges, backed up by her own significant leadership and strategy experience. It's tough to provide an audience with the right combination of actionable information and the gentle push they need to actually make things happen within their own organizations, but this is Amber's sweet spot. You'll leave her session with a head full of ideas, a desire to work toward some brand new goals -- and dose of her infectious passion, too. Definitely a can't-miss for me. "I have had the opportunity to hear Amber speak at various conferences. As someone who works in the same space, what has impressed me the most is her ability to make complex ideas and concepts accessible and meaningful to a diverse audience, from newbies to established practitioners, like me. 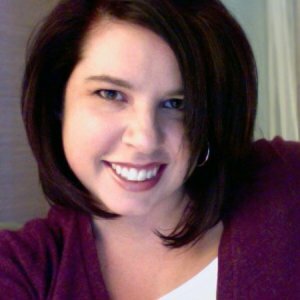 In an industry filled with big egos, Amber keeps it real with unique insights, a clear point of view, and actionable ways those who attend her sessions and keynotes can take what they learn and make a measurable impact at their organization or business. Never watered down and always authentic, when I see that Amber is speaking at an event, I make it a point to attend." Amber is equal parts insight and entertainment. She can present her superior, first hand knowledge on blogging, social media marketing, and social media monitoring in a frank and easily consumed format. She knows what she is talking about and delivers her points with humor. Amber has spoken at several of our Social Fresh conferences and is always a welcomed addition to the line up. All of history’s great explorers have shared a love of exploring the unknown. They were comfortable with questions, not just answers. The social web is our new frontier, and we are the change makers. We are the missing link between business as we know it today, and the world as we envision it tomorrow. In this gritty and inspiring talk, Amber talks about why we resist change, what true Wayfarers are really made of, and why curiosity is the fuel that will drive business' future success. What is "social business", and how is it different than social media? What are the characteristics of a social business, and what challenges can we expect because of the implications of the social web? This talk provides an overview of the Center of Gravity, a model for tackling social business realistically and without the hype. ROI. Metrics. Measurement. Outcomes. Few topics are discussed as much as social media measurement, and few are more convoluted or misunderstood. Get down to brass tacks with Amber in this presentation about how to set measurable objectives, identify and consider different metrics for your business, and understand the truth about ROI, value, and impact in a social media landscape. Based on the highly regarded social media book The Now Revolution, this talk discusses the seven critical shifts that businesses must make in an increasingly demanding, real-time world. Full of real-world examples of companies who are making the shift toward more strategic social media. Need some social media fundamentals? This presentation is for you. Learn a bit about the pillars of a sound social media strategy from listening to engagement to measurement, and how to take a pragmatic, realistic approach to integrating new communication practices into your business.